The notebook market may soon be including mainstream ARM-based products. Sources close to DigiTimes are claiming that a number of major computer manufacturers, specifically Samsung, Toshiba, Acer and Asus, could be preparing ARM notebooks for a launch as early as the end of this year. The unnamed sources say that ARM-based notebooks are not entirely new, however, as Toshiba and Lenovo have launched Android-equipped notebooks in the past but with low sales. These “smartbooks” were soon pulled from the market. 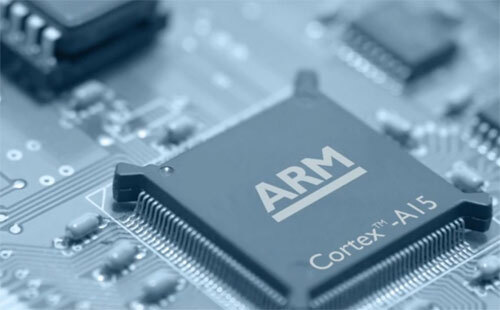 The ARM architecture has found huge success in both the mobile phone and tablet markets and has even gotten Intel playing catch up. Popular mobile CPUs such as the Tegra platform, Snapdragon family, and OMAP series are all based on the same principle instruction set architecture. ARM processors have improved enough overtime to possibly be able to offer cheaper, more energy efficient notebooks. With the next major iteration of Windows supporting ARM chips, we may see ARM-based Windows machines directly competing against more traditional x86 notebooks. Vendors have yet to officially announce any new ARM notebooks, although a 13-inch notebook with an ARM CPU from Nvidia could be in the works by Asus.